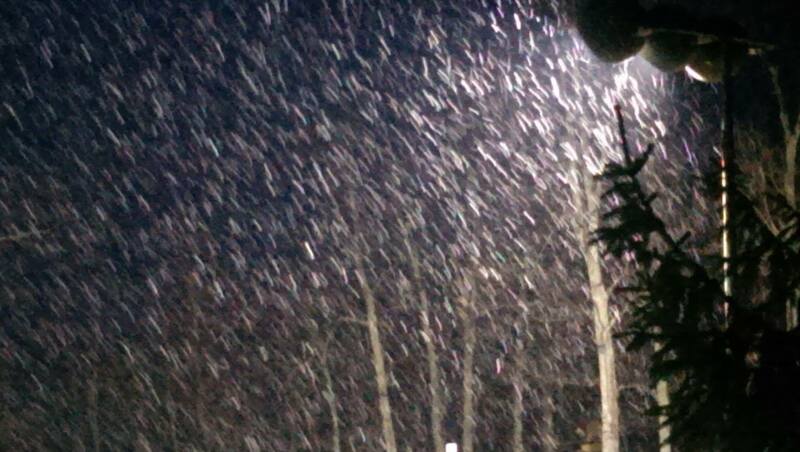 Photo Courtesy of Wintergreen Resort : Light snow, sleet & rain began falling shortly before dark Thursday evening – November 13, 2014 at Wintergreen Resort. Almost on cue, knowing Wintergreen Resort had plans to start making snow on Friday, (the earliest ever incidentally) Mother Nature kicked in to lend a starting hand Thursday evening. As we were posting all afternoon, the wintry mix began falling in the highest of elevations on Devils Knob about an hour before nightfall. As day turned to night and colder temps began moving down the mountains, light snow started falling around the Mountain Inn. Above our Instagram video taken just before dark Thursday evening when the snow just started falling around the 3500′ level on Devils Knob. 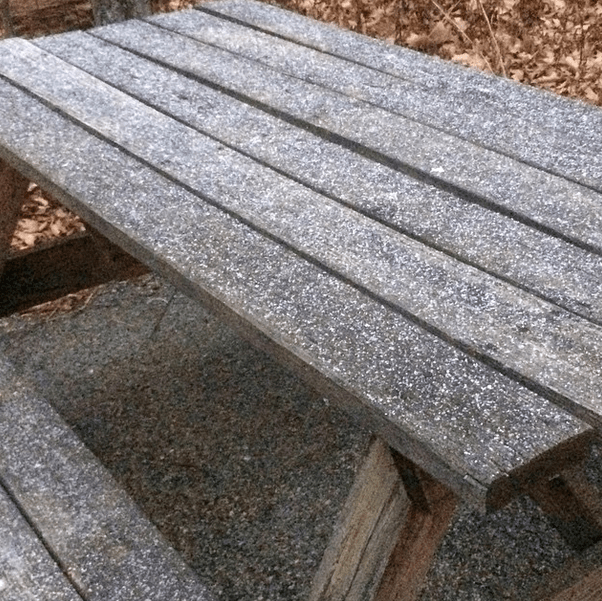 Photo By Tommy Stafford: Light snow began covering this picnic table at The Nature Foundation At Wintergreen Thursday evening – November 13, 2014. Additional light accumulations were reported in the higher elevations overnight Thursday. By Friday, Tommy says we’ll see sunny skies but temps remain cold for the next week. Another chance for wintry precipitation moves back in by Sunday into Sunday night!